Blue Devil tradition runs deep, and so does the appreciation for some its biggest fans. Mike and Connie Lewis were honored with a special award during the basketball senior night festivities. 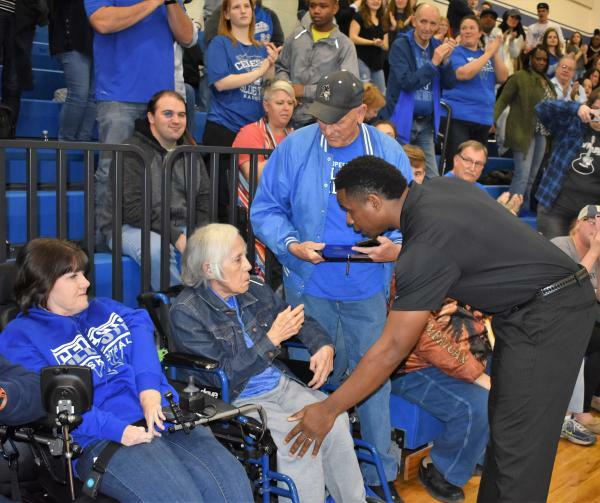 Athletic Director Demetrius Rector presented Mike and Connie with a plaque of appreciation for the years of continued support and dedication they have shown to the Blue Devil Family. 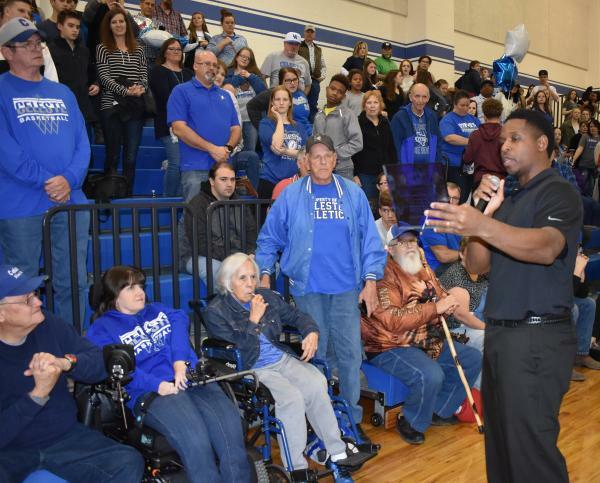 Coach Rector thanked the couple for years of backing the Blue Devils and being there to lead cheers, share treats, and for caring so deeply for the students of Celeste ISD.